Weekends are the best. My taking Fridays off really helps too – get cleaning and errands done Thursday night/ Friday morning and then have the rest of the days for studying, hanging out, and cooking! We got Fresh Stop this week, Matt picked it up while I was in class and there’s so much goodness in this month’s share. We used the spring mix in our salad recipe for the week, and we remade the Garlic Butter Asparagus Pasta with the asparagus from our share. That recipe is not only really good, but pretty quick too! We have a few solid recipes this week – Matt was not the biggest fan of the sweet potato one, but that’s because he doesn’t like cooked broccoli (woops!). When I was in Portland my friend Kaitlyn made it for dinner one night and I tried to recreate it this week. I’ve never been a huge fan of sweet potatoes, but I could eat this recipe over and over again! The Grilled Chicken was delicious and pretty, but I forgot to take a picture of it because we were at a friend’s house and in real life people don’t have to snap a picture of every meal before eating it 🙂 I’ll add a picture next time we make it (because there will definitely be a next time). And the salad, ahhhhh SO stinking delicious, I can’t wait until tomorrow when we eat the rest of it! For the salsa: In a medium bowl, combine all ingredients. Reserve. For the chicken: Brush the chicken on both sides with olive oil. Season with salt and pepper to taste. Preheat grill or grill pan over medium-high heat. Cook the chicken until the internal temperature reaches 165°, about 5 minutes per side. Remove chicken and allow it to rest for 5 minutes. 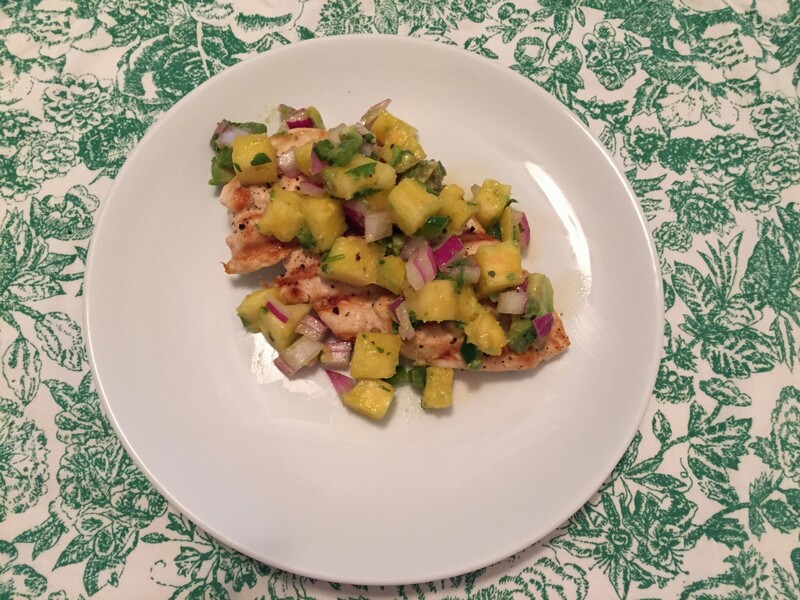 Plate the chicken and top with desired amount of salsa. To make the dressing, place the berries in a food processor or blender and puree until smooth. 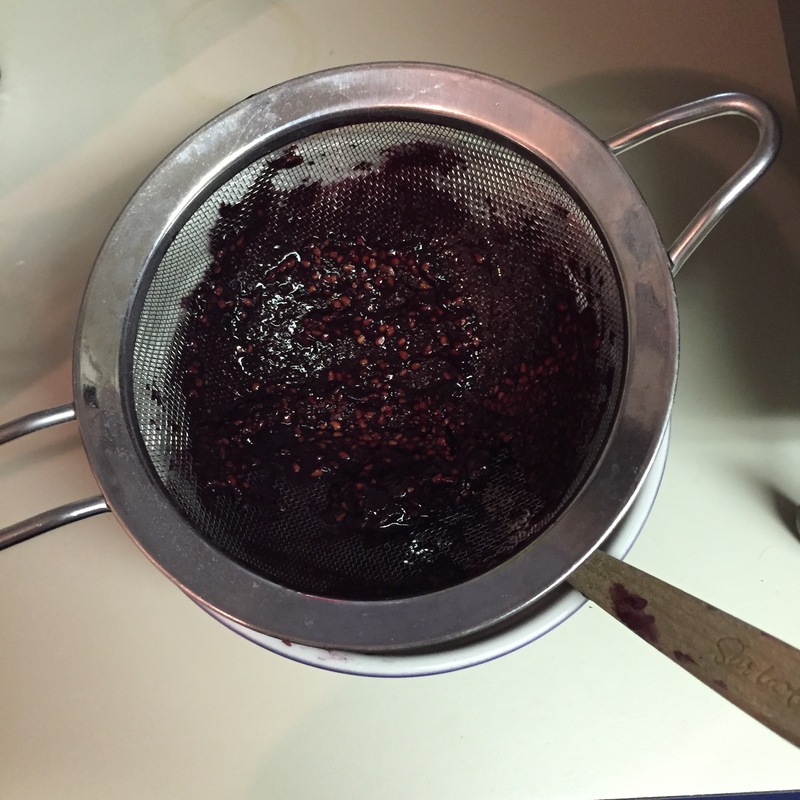 Pour the mixture through a fine mesh sieve, pressing out as much fruit puree as possible while removing the seeds. In a liquid measuring cup or jar, combine the blackberry puree with the vinegar, honey, and olive oil. Whisk vigorously until the mixture is well blended and smooth. Season with salt and pepper to taste. Chill until ready to use. To serve, plate portions of salad greens on salad plates. 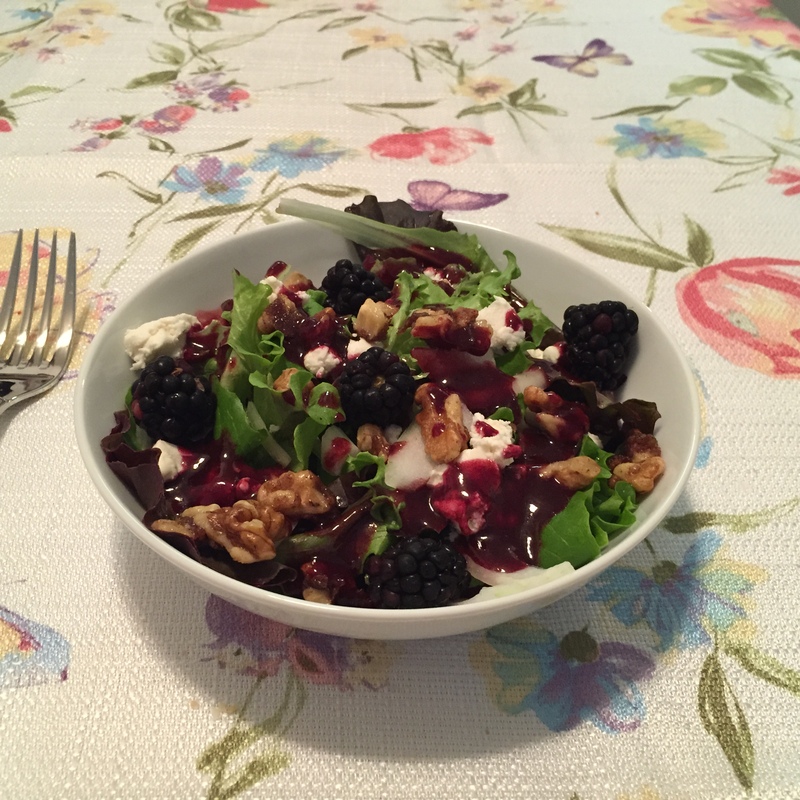 Top with crumbled goat cheese, fresh blackberries, vidalia onion and the spiced nuts as desired. Drizzle lightly with the blackberry vinaigrette. Serve immediately. Roast the sweet potatoes – Heat oven to 400° F. Pierce each sweet potato several times with the tines of a fork. 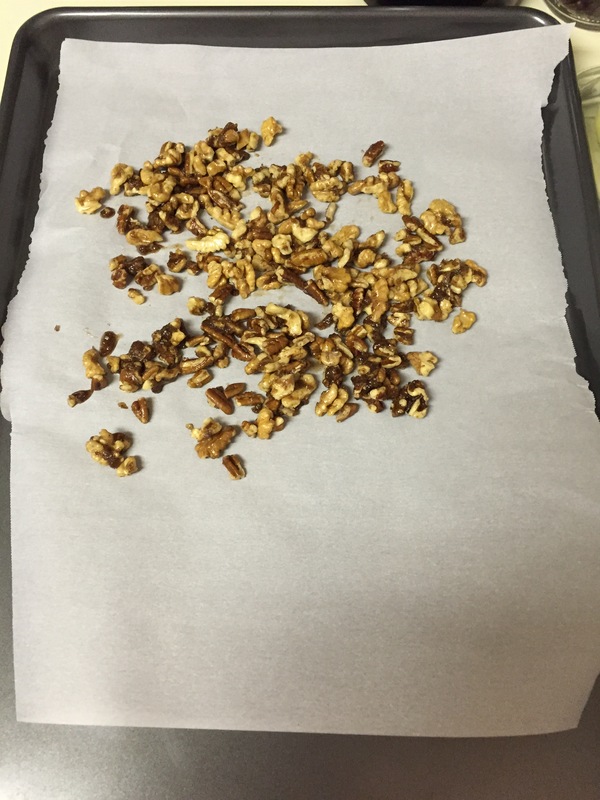 Place the sweet potatoes on a rimmed baking sheet lined with foil. Bake until tender, about 45 minutes. Make a slit in the top of each sweet potato. 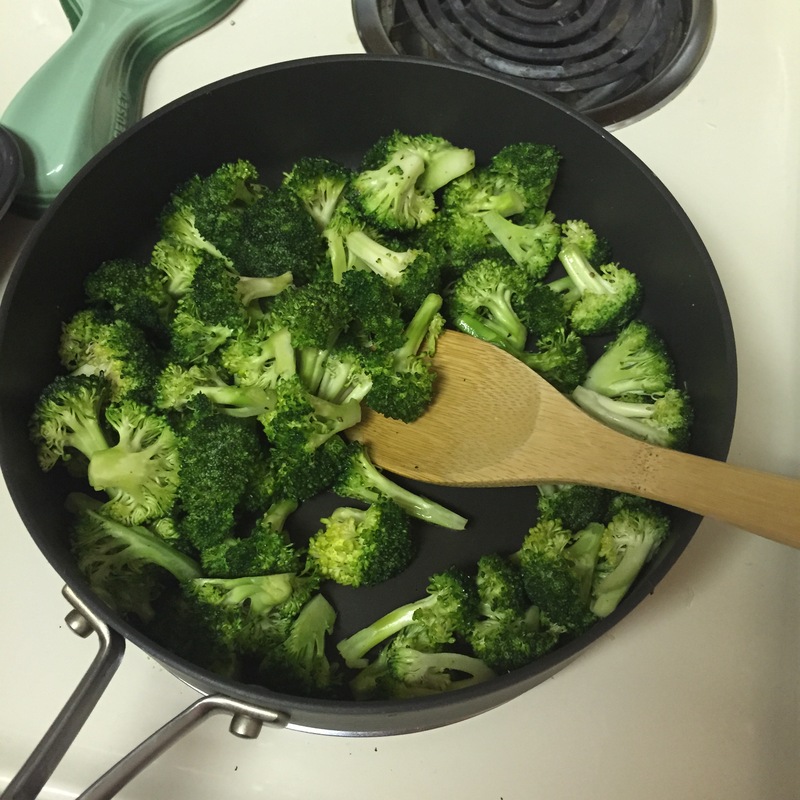 Cook the Broccoli – saute in a pan with 1-2 Tbsp olive oil. About 5 minutes, until bright green and slightly cooked. Make the sauce – In a food processor, mix the cheese, white beans, and enough water to get the sauce to your desired consistency. 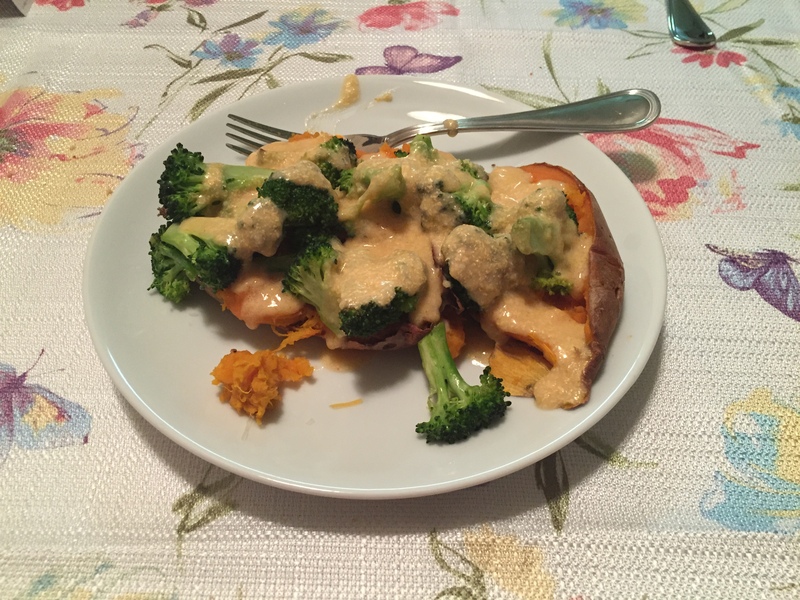 Plate the dish – Slice a sweet potato in half and slightly smash before topping with broccoli and sauce. Enjoy!